Designed and developed this site originally in 2008. We did a refresh of the site in late 2010 to a more dynamic style site. 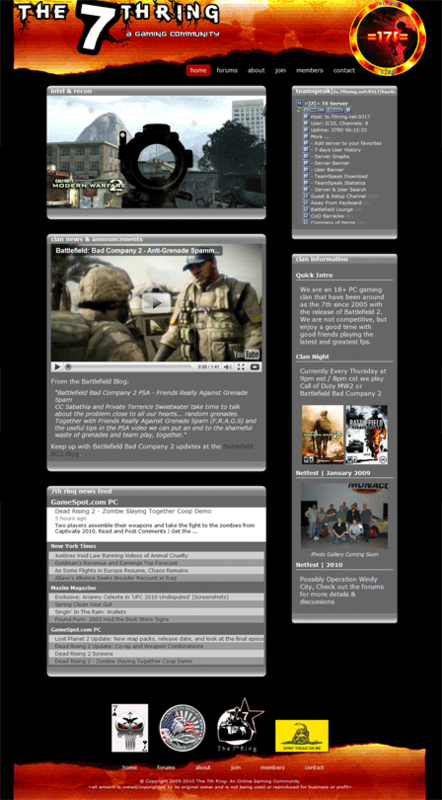 The site was used for mainly Battlefield gaming and a landing page for current information. I was given free rein on both designs keeping to the dark theme. Initial design for the 7th Ring gaming site. Circa 2008. 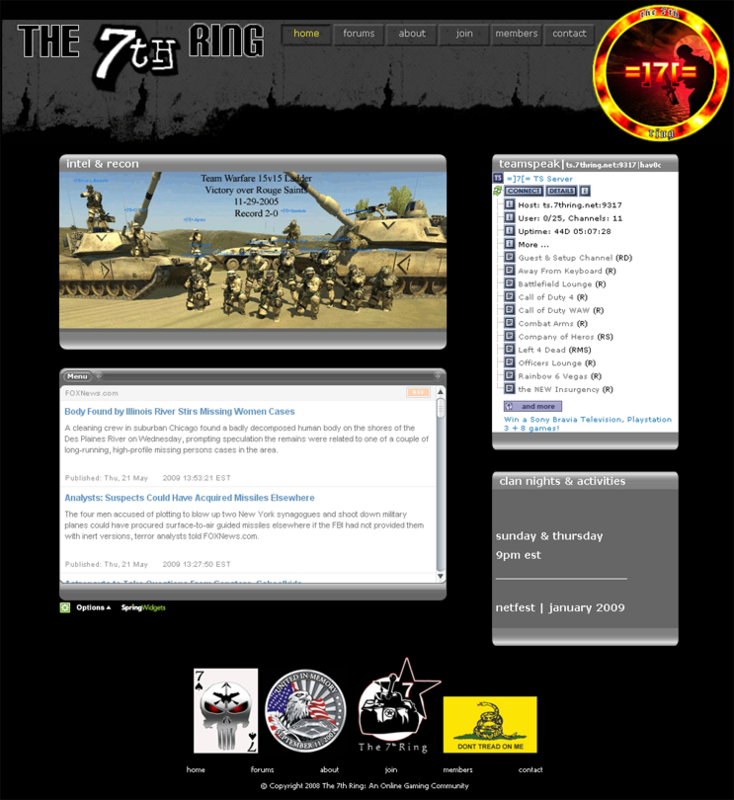 7th Ring gaming site re-design, circa 2010.